North Korean leader agrees to hold second summit with US President Donald Trump. 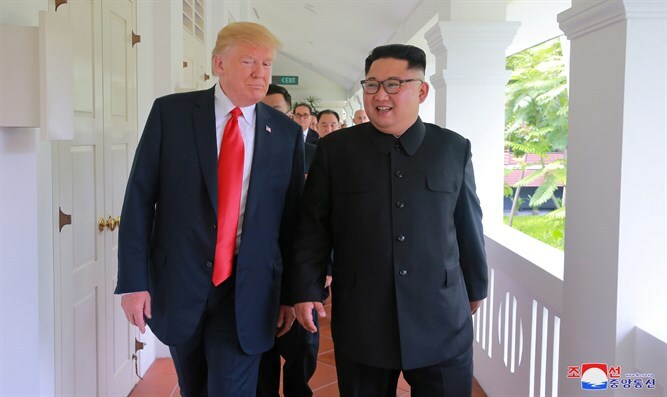 North Korean leader Kim Jong Un has reportedly agreed to hold a second summit with US President Donald Trump "as soon as possible", The Hill reported on Sunday. Secretary of State Mike Pompeo relayed that message to South Korean President Moon Jae-in, South Korean leader's office said in a statement, according to multiple reports. Pompeo, who met with Kim in Pyongyang on Sunday, reportedly told Moon that Kim agreed to meet with Trump at a summit that "should be held as soon as possible". Moon's office also indicated that the US and North Korea are still discussing when and where the meeting will be held. Kim on Sunday described his talks with Pompeo as “productive and wonderful,” the state news agency KCNA said, as quoted by Reuters. Trump himself wrote in a tweet Sunday that he looks forward to seeing Kim in the "near future." "@SecPompeo had a good meeting with Chairman Kim today in Pyongyang. Progress made on Singapore Summit Agreements! I look forward to seeing Chairman Kim again, in the near future," he tweeted. During his recent address at the UN General Assembly, Trump lauded the North Korean strongman as “terrific,” one year after Trump eviscerated Kim from the same platform. He later said that he and Kim have fallen “in love”.